The Hechinger Report and NBC News collaborated over the weekend for some solid reporting on racial segregation in charter schools. They focused on Lake Oconee Academy, a Georgia charter school where 73 percent of students are white while 68 percent of students in surrounding public schools are black. Their stories identified 115 charter schools that they deemed racially segregated – much more heavily white than surrounding public schools. Texas and Michigan were home to the most charter schools where African-American and Hispanic students were dramatically underrepresented. Hechinger and NBC defined a charter school as “segregated” if its share of white students was 20 percentage points higher than the whitest nearby public school. They also found at least 747 charter schools that enrolled a higher percentage of white students than any public school in the same district. I wondered if Indianapolis would have charter schools on the list. It didn’t, but it might have if reporters had set their criteria a bit differently. Teachers, principals and superintendents don’t much care for charter schools and vouchers. Not even the ones who voted for Donald Trump for president. That’s a key take-away from a survey conducted by Education Week and reported by the publication last week. The survey was administered to more than 1,100 educators in September and October. It found that 74 percent fully or somewhat oppose the creation of charter schools. And 79 percent fully or somewhat oppose publicly funded vouchers to pay private school tuition. Among educators who voted for Trump, 64 percent oppose charter schools and 70 percent oppose vouchers — even though Trump and his secretary of education, Betsy DeVos, have made expanding “school choice” a centerpiece of their education rhetoric. White citizens across the South resisted after the Supreme Court’s 1954 Brown v. Board of Education decision that “separate but equal” schools for black and white students were unconstitutional. Most resistance was futile, but Prince Edward County, Va., came up with an approach that endured. As Casey explains, the story didn’t end there. Prince Edward County set the stage for the “school choice” ideology that has been embraced by President Donald Trump and Secretary of State Betsy DeVos. Economist Milton Friedman, the intellectual father of the voucher movement, gave a nod to vouchers-for-segregation in his influential essay “The Role of Government in Education” – written in 1955, the year after the Brown decision. Friedman wrote in a footnote that he deplored discrimination and segregation but deplored “forced unsegregation” even more. Researchers have shown school choice via charter schools and private school vouchers is increasing the segregation of American schools by race and social class. That’s a worrisome and important finding, but schools were growing more segregated before the rise of choice, in part because of decisions we made as individuals and communities. 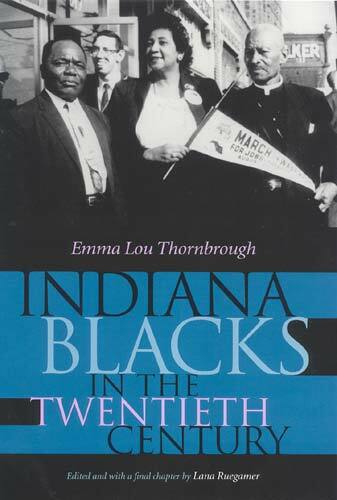 One example is Bloomington, Ind., the small college town where I live. With relatively few black and Latino students, you can’t say the schools are segregated by race. But students from different socioeconomic groups are separated in different schools. That’s the backdrop for discussions that will take place this week at the Harmony-Meier Institute’s third annual symposium. 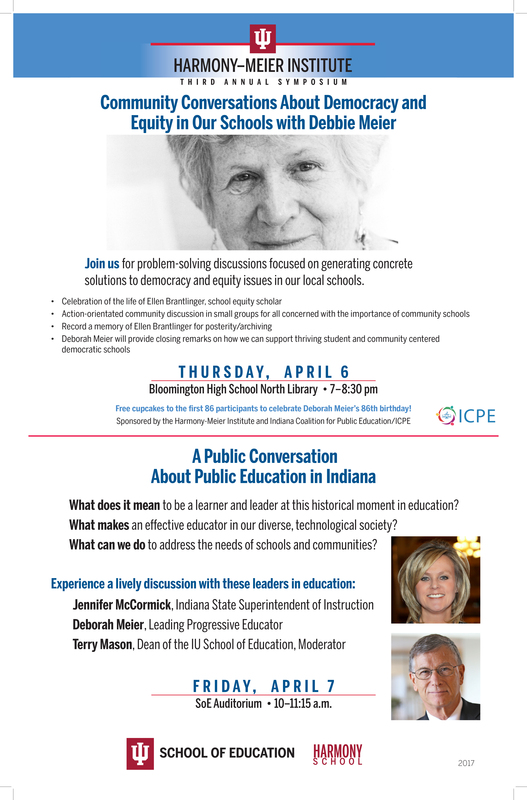 It will include conversations on local school equity issues on Thursday and a panel featuring legendary progressive educator Deborah Meier and Indiana Superintendent of Public Instruction Jennifer McCormick on Friday. The local school district has put more resources into high-poverty schools since then, but the basic situation continues. Students who qualify for free and reduced-price lunch range from over 85 percent in one school to less than 7 percent in another. Not surprisingly, low-poverty schools tend to have higher test scores and consistently get As on the state’s school grading system, while high-poverty schools sometimes struggle. Jennifer McCormick, the Republican candidate for Indiana superintendent of public instruction, said this week that she wants to see the data tying school choice to segregation. It’s not hard to find. 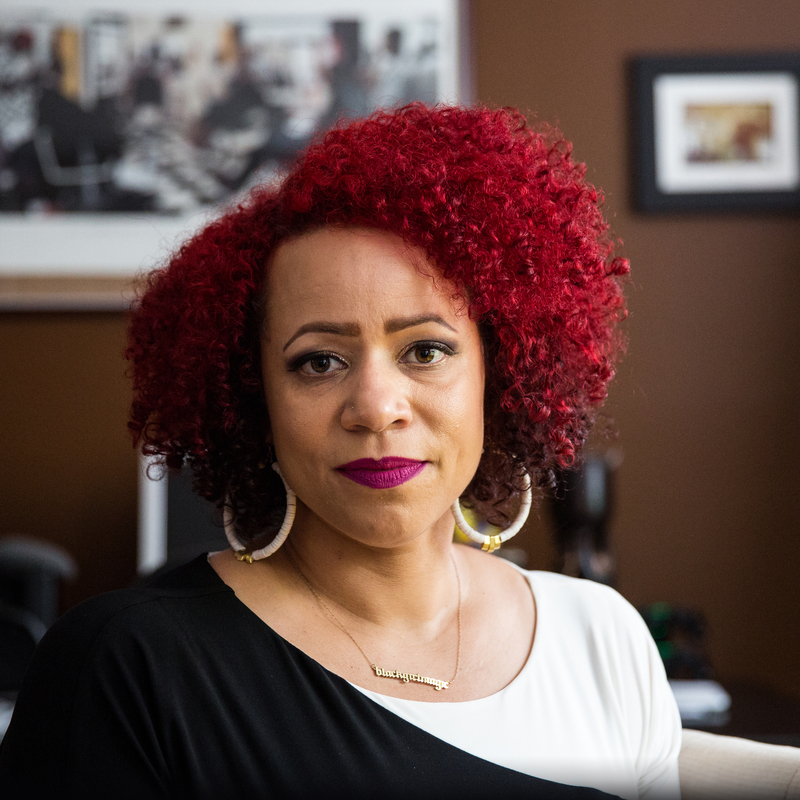 A good place to start is the excellent series of stories on race and segregation in Indianapolis schools produced this summer by Chalkbeat Indiana, WFIU and the Indianapolis Star. One story describes how charter schools became some of the most segregated schools in the city, many of them nearly all African-American and a few largely white. Another tells about an Indianapolis Public Schools magnet school where most students are white and almost none qualify for free school lunch. Marc Stein, an education professor at Johns Hopkins University, published an article in 2015 showing charter school choice in Indianapolis produced “higher degrees of racial isolation and less diversity.” Black students enrolled in charter schools with more black students than the public schools they left; and white students enrolled in charters with more white students. Charters were becoming more racially isolated. A study this summer from three leading educational researchers finds that schools have become significantly more segregated by family income in the past two decades. A factor, they say, is the growth of school choice programs, with affluent families taking advantage to place their children in more desirable schools, regardless of where they live. A new study by Steven Glazerman and Dallas Dotter of Mathematica Policy Research looks at the factors that cause parents to rate some choice schools better than others. They find that white parents, especially, favor schools where more students were of their own race and class. “Teacher Wars” author Dana Goldstein writes about the study in Slate.